The best part of Perth’s winter for a cyclist, aside from the abundance of perfect sunny days is more importantly the drop in wind conditions. A window of opportunity for an enjoyable ride. Knowing this small fact makes the winter months a whole lot more fun and keeps us busy to say the least. Lately, I’ve been curious about riding a road bike. The speed and execution of some of the cyclists and ride formations on the streets of Perth is pretty impressive, like a moving caterpillar. But a super fast one. So I decided to give it a genuine go, borrowing a friend’s Giant Liv Avail. There are quite a few types of bikes on the market. Where do you start – hybrid, mountain bike, BMX, folding bike, cruiser or the road bike. Each one is designed for a style of riding through a range of terrains. I’m told if you’re wanting to buy a bike you first must figure out, where will you be riding? Do you want to shred down a singletrack in the forest? 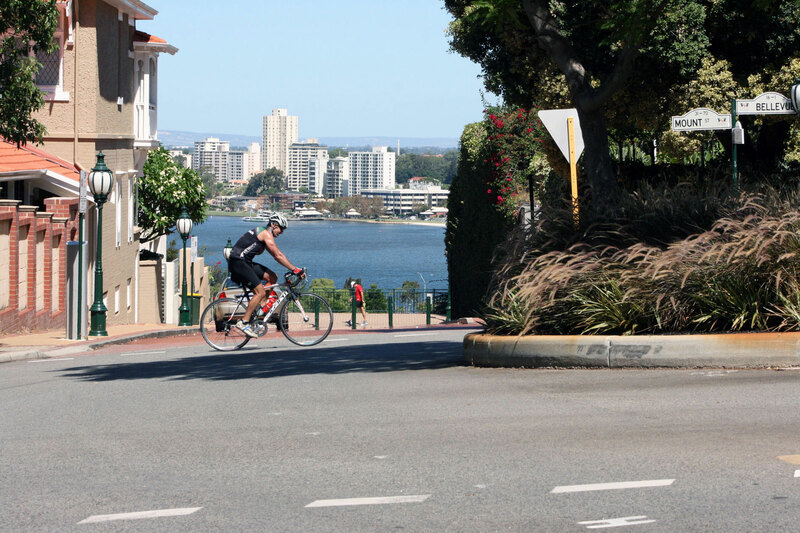 Ride short distances to the shops and markets on the weekend? Or commute long distances? The key features of the road bike is essentially the skinny tyres, light frame, clip in pedals and drop handle bar. Additionally there are also advanced levels like endurance and triathlon. Sounds very technical but it doesn’t have to be unless you want it to be. There are some great entry level road bikes available. Also a very good reason to try before you buy in case it’s not for you. Road bikes are ideally suited on main roads or cycle specific paths where the surface is generally smooth with good visibility ahead. With that in mind before we set out, I consulted Google to find a route that in theory would give us seamless riding conditions. 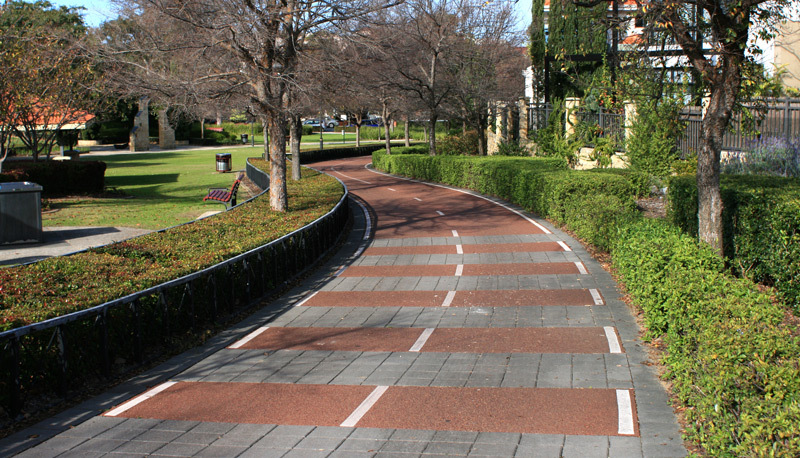 The preference was to ride away from traffic and on a cycle path, which in Perth is shared with pedestrians. We decide on the path from Canning Bridge/The Raffles tracing along the Swan River to the city, crossing through the west side and following the path along the Fremantle train line to Subiaco and then all the way to Swanbourne train station before returning. I learn very quickly, at the point of trying to slide my foot into the toe clip pedals which is initially an interesting task, that riding this style bike is going to be quite different. But for very good reasons. The speed achievable by way of better efficiency in pedaling is a lot of fun. This means I’m pedaling less but going faster in a harder gear – how good is that! It is especially great on a die straight road and its encouraging to know in Perth there is plenty of them around! The classic hunched over riding position does feel a little awkward at first, and I wonder if the slight neck pain is only experienced by newbies? In the bikes defense my core is terribly weak at the moment and I probably should be doing some yoga. The drop handle bars are fantastic for long endurance rides because I can switch my hand hold position constantly. I can’t do this on other bikes so this becomes a real novelty during the ride. With the skinny tyres I am a little conscious about drains and falling over the handle bars, silly I know because the drain grates are horizontally positioned to avoid this mishap. Being accustomed to riding over objects I make the mistake of doing so on the road bike, which doesn’t feel that great, infact I feel everything on the road. Could there be a trick to minimising this other than riding around the object? Following the ride I am wondering why I haven’t moved over to a road bike, for, road riding sooner. While I’m far from joining the fast moving caterpillar groups on the road, I really enjoyed riding the road bike. Handling wise it made the ride a dream really. With a little more confidence which would develop parallel to becoming more comfortable on the bike, I can see many distance routes that I’ve wanted to complete for so long now, open up all of a sudden. So is the road bike a better ride? Depends on what you want to achieve from cycling and it’s not uncommon for a keen cyclist to have more than one bike, dabbling in the different styles from urban city riding to mountain biking in the bush. The road bike definitely rocks and I have much respect for road cyclists having ridden one now. Do you enjoy a bit of a cycle? Any tips? 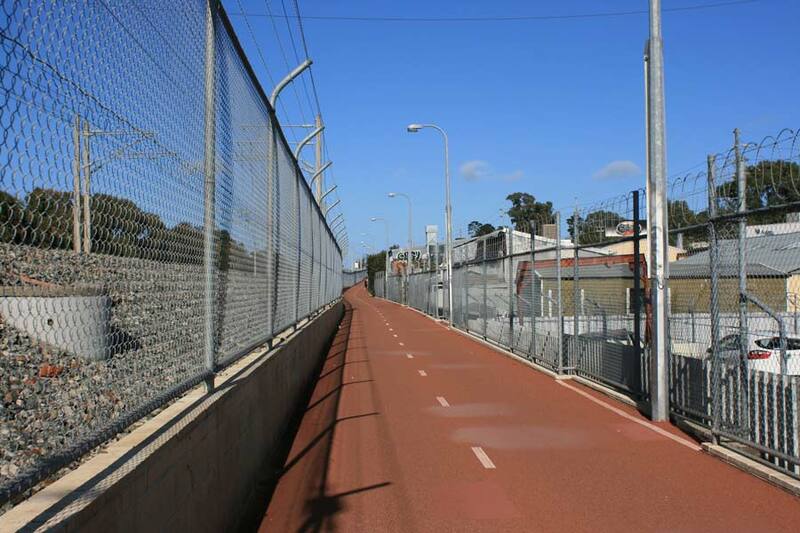 Route: Canning Bridge/The Raffles tracing along the Swan River to the city, crossing through the west side and following the path along the Fremantle train line to Subiaco and then all the way to Swanbourne train station before returning. Highlights: long rolling stretches. Not a great deal of uphill. Aside from a couple of traffic lights between Parliament house and Water town (screenshot of map below) there is virtually no encounters with traffic. Cycling alongside the river is magic. 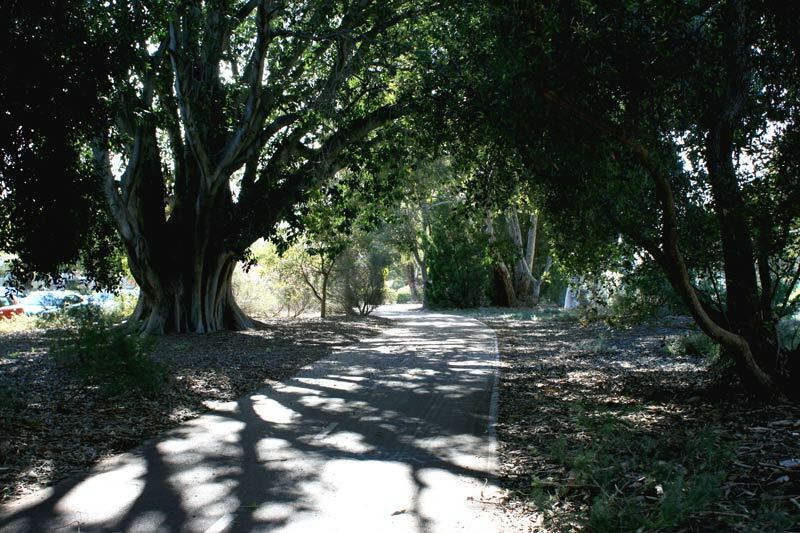 Tackle the steep hill up to Kings Park Botanical Gardens for an extended bike. Detour/stop suggestions: Gordon Street Garage Cafe in West Perth, Review Cafe on Mount Street, Watertown shopping Centre in Perth, Woolworths in Subiaco, Jus Burgers in Subiaco (highly recommend a Kangaroo burger and beer). Whisk Creamery in Subiaco. Actually anywhere in Subiaco is good, it’s a friendly cycle town. 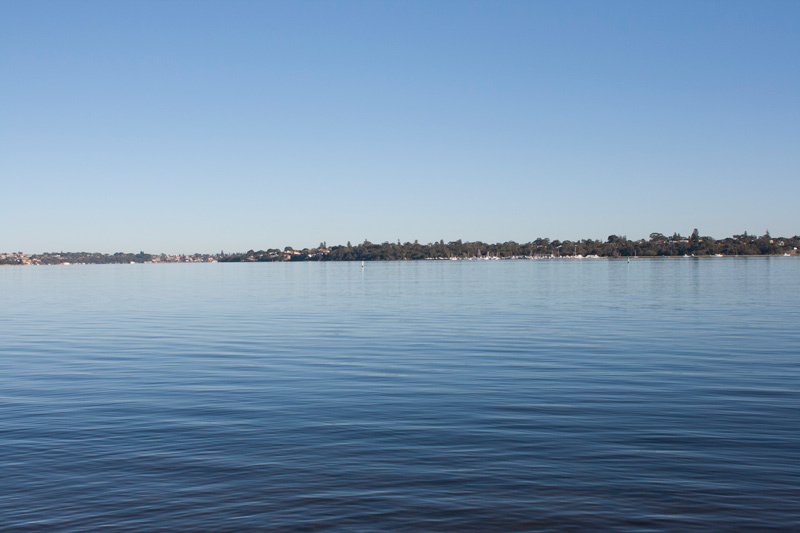 If driving, there is parking along the river near The Raffles and alongside Swanbourne train station (both side of the railway). Might be busy during weekday business hours though. Some of the scenery to expect along this route…. I am always too scared to use the toe clip pedals! I have done a few triathlons but always worried I will not be able to get my feed out and fall on my face. Looks like a nice ride. hehehe I’m scared of that too. Guess it would be awkward falling during a race! The ride was very cruisey (thank goodness hheeh) and I was lucky to have my partner ride a bit ahead looking out as I had my head down trying to see what was going on below when I couldn’t get my foot in position.